Google Maps shows a list of the people that contributed with the most customized maps, reviews and edits related to a location. In some cases, you'll find helpful maps that show hidden parks, interesting museums or landmarks. Google has also released a customized maps editor for Android. "With this application you can create, edit, share, and view personalized maps on your Android powered phone synchronized with the My Maps tab on Google Maps. Create a map on your desktop computer using Google Maps and then take it with you on the go and update it on location." Does Google Map Editor allow me to give my contributed map data away with my own licences? For instance giving it to OpenStreetmap? 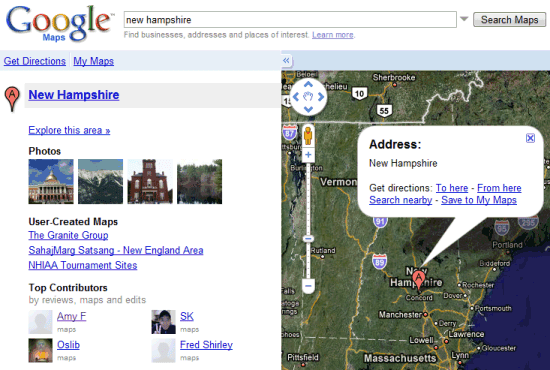 If there was one thing I had to choose that I liked best about google it would be the Google Map Editor. Birth place of Buddha is in fact, Kapilvastu, Lumbini, NEPAL But the Google map search showed UttarPradesh, INDIA, which is not correct. Though, the search showed the location within the boundary of NEPAL. Now I cannot see Top Contributors list in google map. Why?